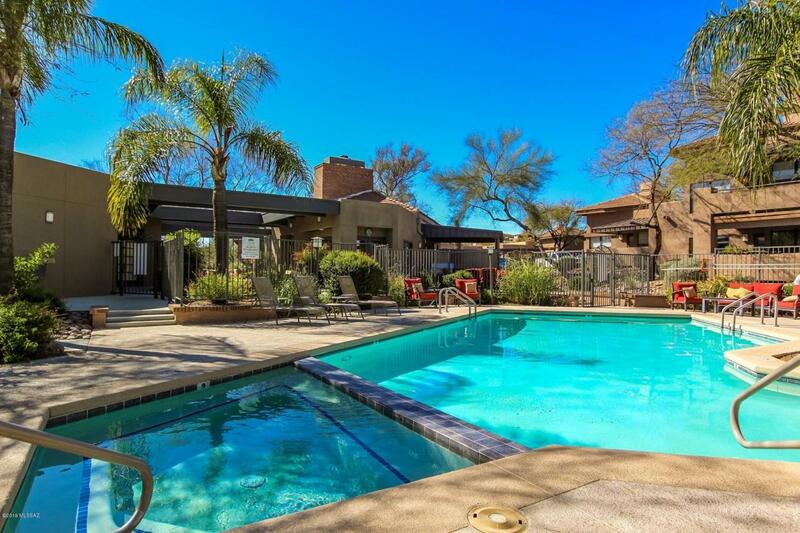 Charming condo in the coveted Green at Ventana Canyon community. This gem features 2 spacious bedrooms, a large great room for entertaining your guests, rich laminate wood flooring, plush carpeting and beautiful tile floors. The kitchen is complete with all black appliances, sleek counter-tops and plenty of cabinetry. Community amenities include pool, spa, golfing, exercise facility and recreations room. Add this one to your must see list today! HOA covers water, sewer, trash, termites, exterior maintenance.